They may have a crazy, crazy, crazy name, but HOT LIKE SUSHI are worth putting on your radar. Their new single “Do You Wanna” is a euphoric dance pop power anthem that, for all its familiar ground and played-out scenarios, still makes us want to get up and groove. 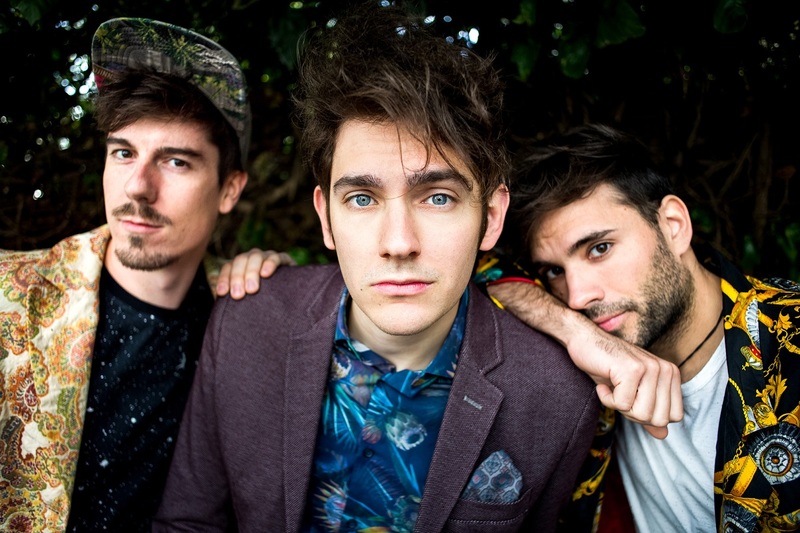 Atwood Magazine is proud to be premiering “Do You Wanna,” the third single from Swiss pop trio HOT LIKE SUSHI. Consisting of Elias von Arx, Luka Corman and Sam Schwalm, HOT LIKE SUSHI dub their brand of music “Guitar. Dance. Pop,” and well, minimalist advertising strikes again. They’re Smallpools on steroids, the next generation of Passion Pit, The Colourist, Magic Man, Walk the Moon and The Royal Concept – and the question begged is, are they too late? Am I blind can I see these hints you give to me? I don’t know am I missing them unconsciously. So many bands have made a name for themselves with high-energy dance music – the list goes on to include COIN, Youngblood Hawke, Bad Suns, MisterWives, Neon Trees, COASTS… and still, we’ve barely breached the surface. In spite of all that, HOT LIKE SUSHI have earned the attention of over 20 radio stations, and racked up nearly 200,000 Spotify streams. It’s hard to judge a nascent band (debut single “CRAZY” came out September 1, 2017), because you never know if what they’ve got is runaway success, or a novelty fad. What’s clear, however, is that these three dudes are here to have fun and bring the hype – as has been felt on 2017 singles “Purpose” and “Crazy.” That fiery factor continues in “Do You Wanna,” a pulsing jam that soars with thunderous drive. Produced by Ben Mühlethaler, who just so happened to mix the last two Prince albums, “Do You Wanna” is infectious and intoxicating, a hands in the air delight. The song is simple: Are we in or out?, asks the narrator to a prospective romance. That’s it! That’s what the whole song’s about: “I just need to know what’s going on, tell me baby,” cries Elias von Arx as he heads into the breakdown, clapping along with his bandmates in a time-tested and audience-approved slow-rise toward the final chorus. “Do You Wanna” hits every trope in the book, and that’s not necessarily a bad thing. We don’t expect innovation every day; all we ask is that, when a band trods over familiar territory, they do so with grace and dignity. 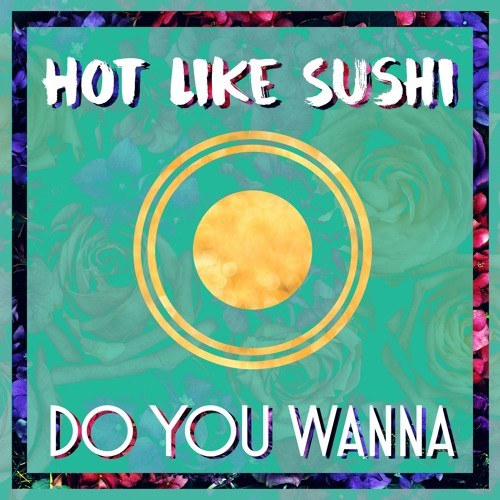 HOT LIKE SUSHI give all they’ve got to “Do You Wanna,” delivering a dynamic catchy tune with confidence and poise. Yes, Smallpools got there first (among others) – and who could ever forget the blissful embrace of “Dreaming”? – but an unforgettable name and a boatload of energy make HOT LIKE SUSHI an act you’ll instantly remember: One you’ll find yourself coming back to again and again, as you slowly come to realize there’s far more to this emerging talent than meets the eye. Stream “Do You Wanna,” exclusively on Atwood Magazine!